Gerie has written over a dozen articles for SearchSoftwareQuality.com and Software Test Professionals. Below are a few recent samples. App performance monitoring closes gap between testing and production. QA consultant Gerie Owen discusses the role of application performance monitoring in meeting user expectations once an app is in production. Agile teamwork: When collaboration becomes groupthink. Quality assurance consultant Gerie Owen discusses how Agile teamwork can lead to groupthink if it's not tempered. Software testing techniques: Overcoming biases. Gerie Owen offers software testing techniques to overcome biases and boost code quality and answers the pressing "how did I miss that bug?" question. Managing mergers: Test professional best practices. QA lead Gerie Owen offers firsthand advice for test professionals on managing mergers. Agile and ALM: A marriage made in heaven? Congratulations! You managed to convince senior management to try Agile. You've formed several pilot teams and successfully executed proof of concept projects. The Agile Team All in Agreement: Is it Collaboration Or Groupthink? Close-knit teams may think they have agreement, but what they really have may be groupthink. Me, Biased? Yes! Testers approach all aspects of testing hampered by their own biases in what to look for, how to go about setting up and executing tests, and interpreting the results. These biases cause less than outstanding test performance and data interpretation in an environment where test teams expect results to be cut and dried. The data is good by itself, but what we measure, and what decisions we make on the data, are driven by our own understandings and misunderstandings of the project and the goals of testing. Gerie has spoken at a number of software testing conferences. In addition, she has spoken at several special interest groups, including the Software Quality Group of New England, and the Hartford Chapter of the International Institute of Business Analysts. 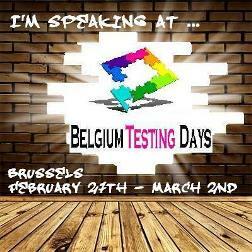 Gerie spoke at Belgium Testing Days in 2013 and 2014. 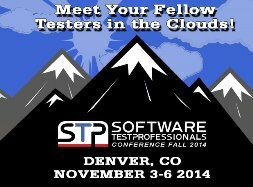 Gerie spoke at STPCon in 2013 and 2014. 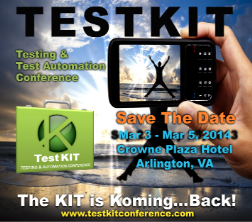 Gerie spoke at TestKit in 2013 and 2014.